A Virginia lawyer pleaded guilty Friday in a DUI crash that killed an Ashburn couple last fall. 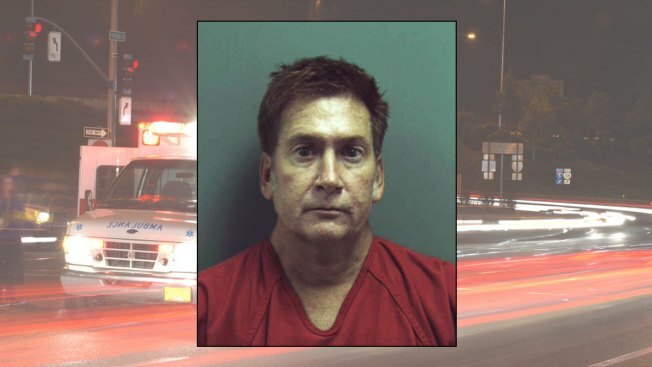 Mark Sgarlata pleaded guilty to two counts of manslaughter and one count of DUI in the Loudoun County crash that killed Patrick and Leia Wrenn. The Wrenns were killed as they rode together on their Harley Davidson motorcycle in the early-morning hours of Oct. 6, 2013. They were just about a mile from home, on Ashburn Farm Parkway, when they were struck and killed by Sgarlata's BMW sedan. Police said Sgarlata was driving drunk. A breath test at the scene showed a .223 alcohol level, and one taken later registered .15, almost twice the legal limit. A deputy at the scene wrote in the arrest records, "Sgarlata had slurred speech with a heavy odor of alcohol coming from his breath. Sgarlata was unsteady on his feet and was found with his pants unbuckled and shirt unbuttoned. Mr. Sgarlata admitted to drinking 5 glasses of wine before the crash." On Friday, as he pleaded guilty, he told the judge that was "the best way to put all this behind us." But that's not so simple a task for the victims family. "[I] just take it a day at a time, and just kind of see what they would want me to do," said Leia Wrenn's daughter Tonya Adkins outside the Leesburg courthouse Friday morning. Sgarlata faces between one and 20 years in prison on each of the manslaughter charges, which are felonies. He is out on bond, but is due to turn himself into authorities Aug. 7, with a sentencing hearing scheduled for December. Family members said they plan to return to the courthouse for Sgarlata's sentencing to deliver victim impact statements. "I couldn't imagine doing it.... I just don't see how it's even a possible thought to get behind the wheel when you're drinking," Adkins said. The Wrenns were motorcycle enthusiasts and belonged to the Iron Order Motorcycle Club. They spent the last day of their lives with the group before heading for home. "They loved it. That was just something they enjoyed," Adkins said. "And they enjoyed being together." The Wrenns would have celebrated their seventh wedding anniversary the week after the crash. Sgarlata had been arrested for a previous DUI in March 2011, but the charge was pleaded down to a reckless driving charge, according to records uncovered by News4. He had a restricted license for six months after that incident.